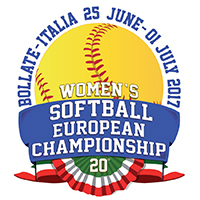 (Athens, Greece) – The Greek Softball Federation is pleased to announce the first seven athletes who have been selected to represent Greece at the European Softball Championship to be held in Bollate, Italy, from June 25 to July 1, 2017. A list of 40 athletes have been selected to an athlete pool, chosen by the coaching staff. Performance at high school, club, collegiate, national and international events is used as one of the major contributors to the selections. While some objective criteria is used to select the team, it is also recognized that there is a significant subjective element. These elements included such factors as performance, experience, positional requirements, leadership and team cohesion. To be eligible to be invited, the athletes had to be members in good standing of the Greek Softball Federation as well as being Greek citizens.